Cyclops Print Works will be setting up shop at WonderCon 2019 this weekend where they will be releasing some really awesome exclusives. 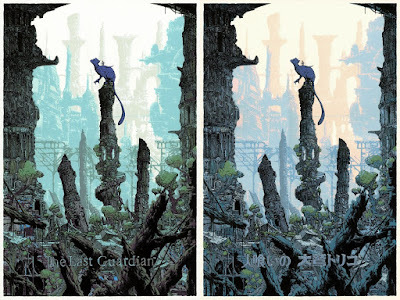 That includes this epic screen print for The Last Guardian video game by acclaimed artist Kilian Eng! 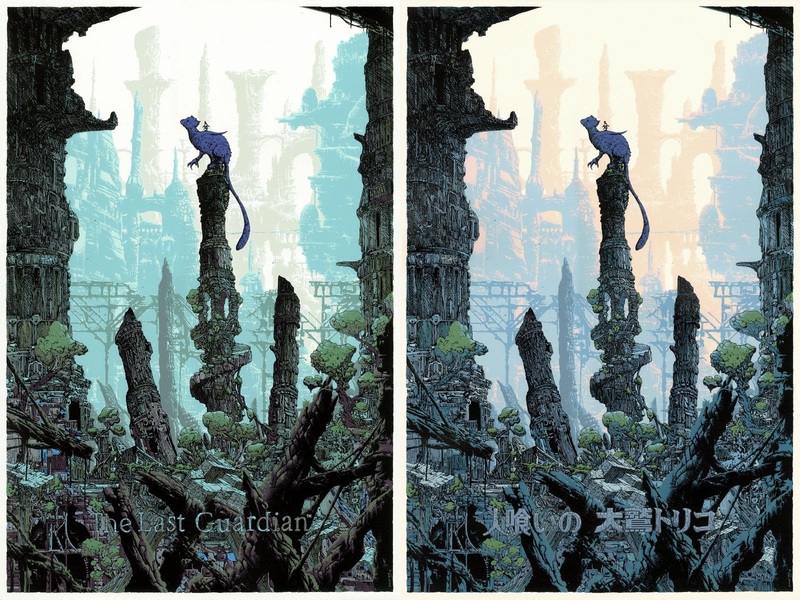 “The Last Guardian” by Killiam Eng is a 20”x30” hand numbered 18 color screen print with varnish finish. The Regular Edition is limited to 200 pieces and will retail for $75, while the Variant is limited to 125 pieces and will retail for $85. Both versions can be purchased exclusively at the Cyclops Print Works WonderCon booth #1012 in Hall B.